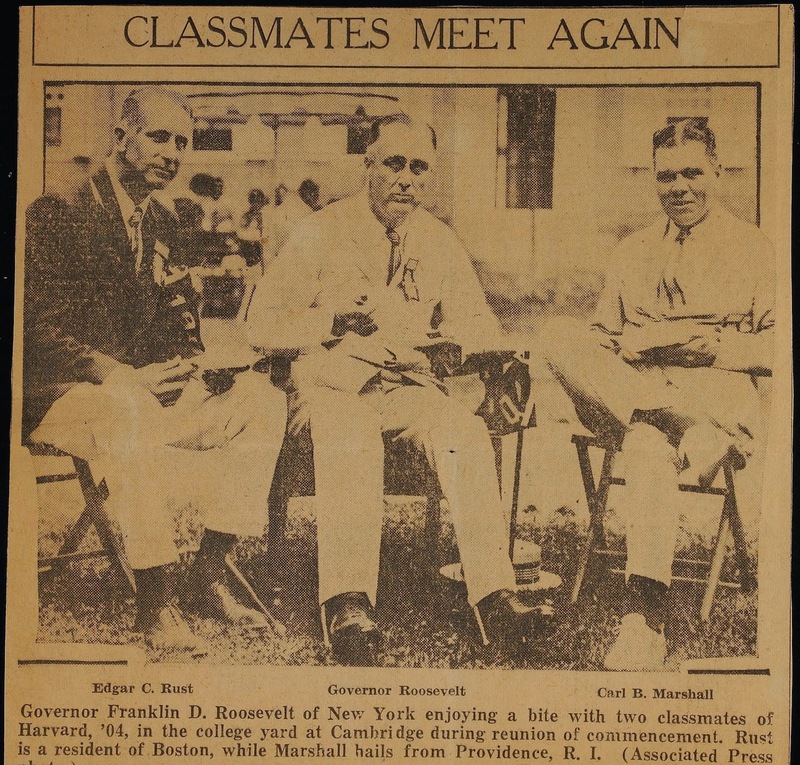 Watching Ken Burns' The Roosevelts - An Intimate History on PBS this week reminds me of the connection my dad's step-father, Edgar C. Rust, had with FDR: they both graduated from Harvard in 1904. The following newspaper clipping is in one of the scrapbooks in my paternal grandmother's collection. Classmates Meet Again, Unknown newspaper. 1929 would have been their 25th college reunion, and before Edgar Rust's first wife died. 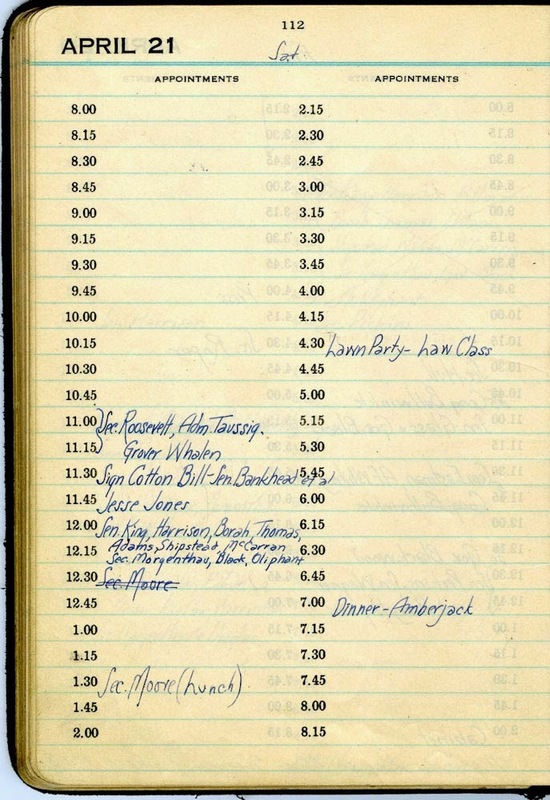 Thank you to my husband who found FDR: Day by Day website at the FDR Presidential Library website. 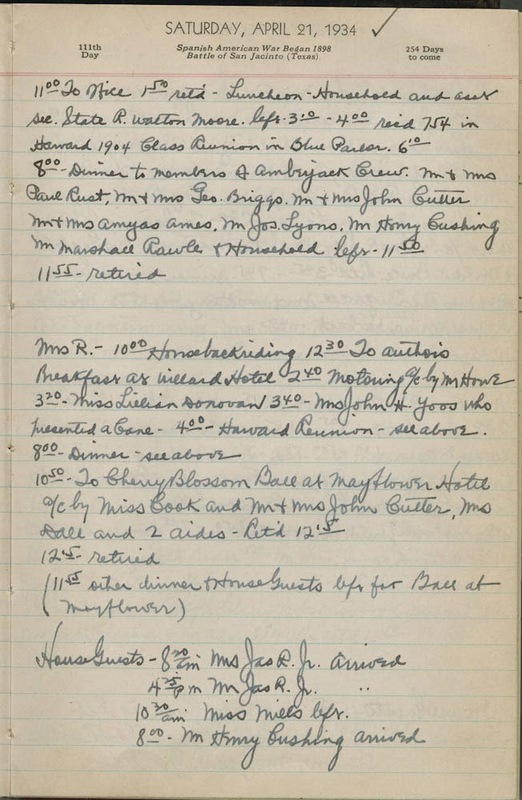 STE: Stenographer's Diary; USH - White House Usher's Diary (see below for images). 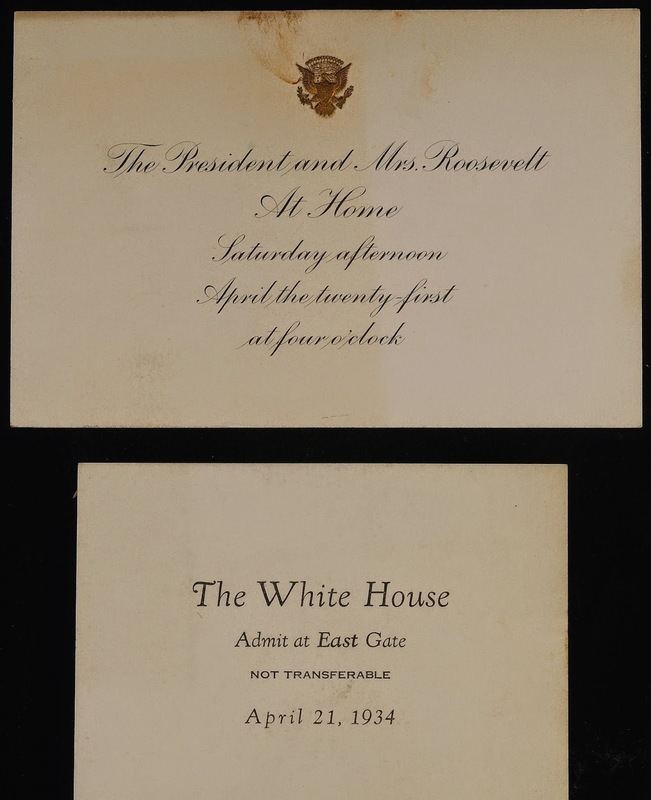 Although many of Roosevelt's Harvard classmates may not have agreed with some of his policies, I'm sure they weren't going to turn down an invitation to visit him in the White House for their 30th college reunion! I'm sure my step-grandfather and my grandmother, Libby, attended. That is SO neat!!! And, great job to your husband for finding the FDR Day by Day site! Yes, my husband enjoyed helping out on this one. I just recently discovered your blog and I really enjoy it. I've nominated you for the "One Lovely Blog" Award! Dana, thank you so much for the nomination! I got one from Heather Rojo too, so my next post will be to share my nominations. Oh, this is awesome-- talk about a piece of history! I haven't seen that documentary yet, but I think I will now!